Leave the belt at home and break out those elastic-waisted pants. 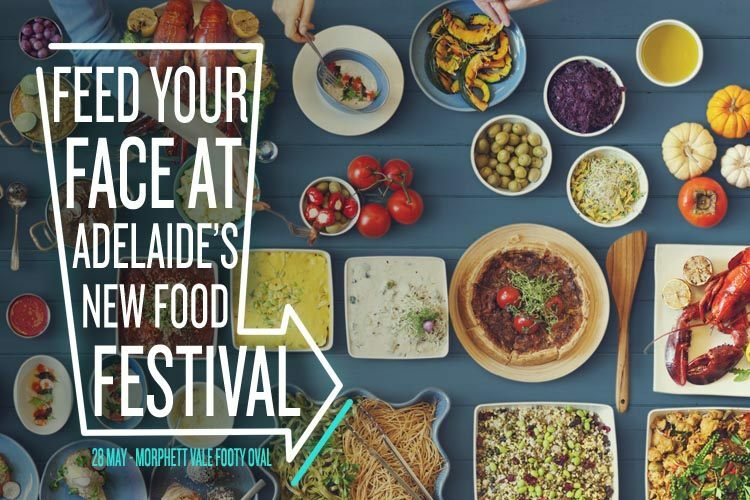 Adelaide has a new food festival coming up, and we hope you’re hungry – because it’s a big one. The Feed Your Face Street Food Festival will be held at The Morphett Vale Footy Oval on Saturday the 28th May. There will be over 30 different vendors, all specialising in a different type of cuisine. So whether Italian has a pizza your heart, or you think Mexican is the only thing worth taco-ing about, you’re sure to find something to sink your teeth into. There are even gluten-free, vegetarian and vegan options available. With this unbelievable variety of food on offer, it’s one of very few times when it’s totally acceptable for you to tell your partner, your mates and your family to get stuffed! The festival will also feature live music, a market, and plenty of activities for the kids – including pony rides, petting zoo and a jumping castle. But if the only baby you’re tending to is a food baby, you may be more interested in the bar. It will offer a great selection of beer, wine and cider, so you can enjoy the event with a touch of glass. We had a chat to the organiser, Alex Fores, to learn more about what we can expect. Can you tell us a bit more about yourself, and what inspired you to run a street food festival? I own a small business called Market To Market. I started the business when I was 21 years old, as I had a passion for supporting local business. I wanted to create a market event that was enjoyable for the community and encouraged people to experience and enjoy local products and creations as much as I did. Since I started Market To Market five years ago I have seen hundreds of unique products, and met hundreds of different people. It is so fascinating to me when I meet the makers and creators of these unique products and I thrive on their stories and how they got to where they are now. There is no better feeling than purchasing a product from the actual person who created it – I mean, you actually get to stand face to face with the creator and not a check-out clerk. I guess that feeling is what keeps me going with my passion for creating great events. That and all the delicious food I get to try at the events! We always have a handful of delicious street food vendors. What inspires us at Market To Market HQ is the food vendors themselves, the creativity of all their dishes and all the flavours of the world. We thought, let’s gather them all together in one place for a festival where they can feed their face and their friends’ faces too. It’s like a massive dinner party for the community! What makes SA food special? I think what makes SA food so special is the diverse range that we have on offer here. Everyone is so creative and you rarely find two places serving the same food within the same block. Not to mention the huge variety that covers all food types – vegetarian, vegan, and gluten-free… we have it all. SA is just good at food. I have had the pleasure of tasting some of the most amazing creations here in South Australia and everything is so fresh. We have a fantastic source of local produce and it’s easy for foodies to source, which is fantastic. The quality of food really shows here and you won’t leave with any regret other than thinking you should have worn looser pants. 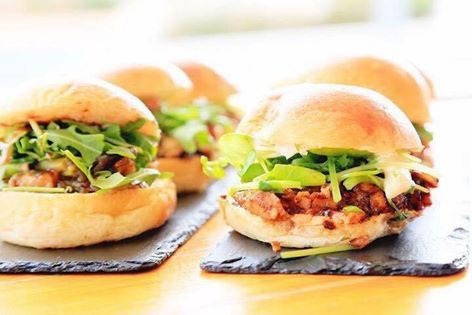 SA is famous for its food trucks, and there will be a number of them at your event. Why do you think they’re so popular? SA has some of the best mobile food trucks, and as one of the organisers for Feed Your Face you can only imagine the torment it took to decide who to accept. We had just 30 places to fill and hundreds of applications – and they were all fantastic. I think that our SA food trucks are so popular because of the fresh produce, love and time that goes into sourcing their menus. I find they are all traditional and authentic as well. 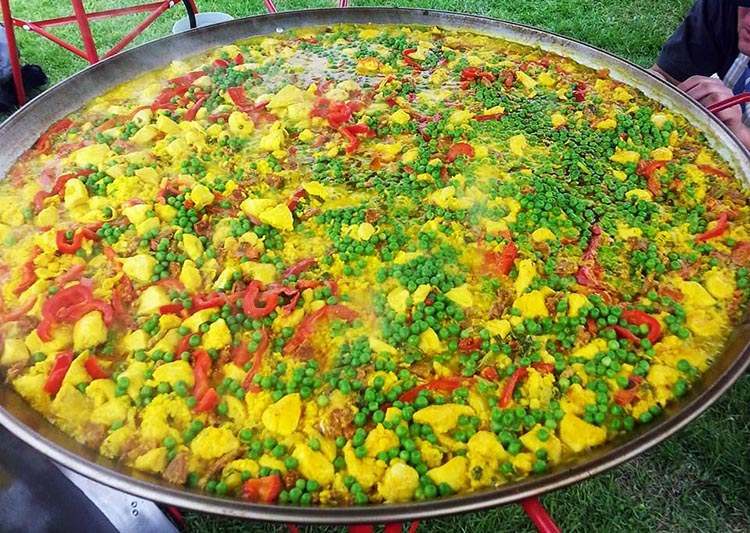 You just have to take one look at what is on offer and you can see the effort that has gone into creating a meal that is delicious and able to be taken away – not to mention the skill to perfect a meal in a tiny 3×6 trailer. You’d better bring loose pants – there will be lots of food to sample and enjoy! Do you have a particular favourite from the food on offer? I love my food, and I’m going to have to bring my sweat pants with me for the event, but I do have two faves. Three years ago I met Oglids and his wife Mijail from Fritangas, who make the most amazing Latin American street food called an arepa. 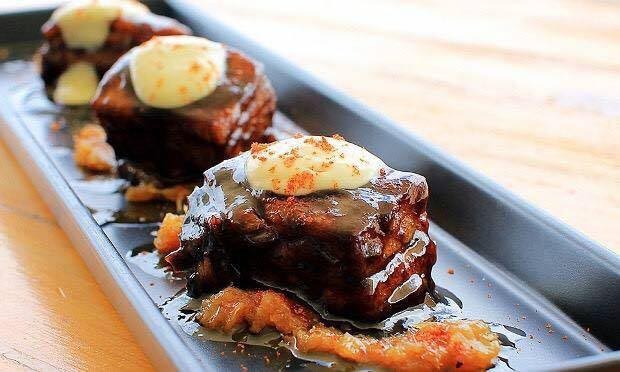 It’s a polenta pocket that is fried and filled with chicken, beef or pork, then topped with cheese and an amazing Latin American traditional sauce. My favourite arepa is the mixed meats – it’s a mouth-watering pocket of deliciousness. Then a few months ago I met POP Mobile Catering. These guys have the best pork belly I have ever tasted, topped with crushed pineapple. Also on the menu is a chicken or four-cheese slider. It often takes me a while to make up my mind of what food I want to try at every event! SA is also famous for its wine, and Feed Your Face will be featuring some great beer, wine and cider. How did you decide what made the cut? Like the food vendors, it was a very tough decision to make. We wanted local and delicious drinks that complement the food on offer. We have ended up with Steve the bartender. Steve has a mobile bar he will be setting up in the heart of all the food, where people can find some of SA’s best locally-sourced beers, wines and ciders. We also have The Cider Society who are new to the scene, and have only been around for about a year. We previously had them at our Christmas event and their extensive range of ciders is very impressive – they all taste divine. The winery we chose is Swire and Noble wines. They have an elegant range of wines, with something to complement any meal at the street food festival. We hear there will be live entertainment, what can we expect? Yes! We have a few local artists performing for us at Feed Your Face. One you have to see is Jimmybay. James is an amazing artist who writes all his own material and performs at many of our events. He is a true talent and character. We will also have roaming entertainment and street performers, and the Feed Your Face Market, where visitors can come along and shop. This is a family-friendly event. What have you got in store for the kids? Have you ever seen a rainbow pony in a tutu? These ponies love to dress up and will be there all day giving pony rides. There will also be a petting farm where all the kiddies can come and cuddle friendly farm animals. And what event would be complete without a bouncy castle? When you’re not enjoying street food, where are some of your favourite restaurants in Adelaide? Hands down my favourite place to eat is a little local restaurant called Tequila & Tacos at Port Noarlunga. It is the best Mexican food outside of Mexico. We often like to gather friends and head down for their flavoursome banquet, where you get to taste almost everything on their menu with a side of tequila flights and chocolate nachos for dessert. The Feed Your Face festival will be held on the 28th of May at the Morphett Vale Football Oval. For more information, head to their Facebook page. You can also buy tickets now to skip the queue!